Pheasants have followed humans ever since we invented agriculture, and spread, or were introduced to, into all suitable habitat in the Northern Hemisphere, and even the islands of Mauritius and New Zealand. In America, top pheasant hunting destinations include the American Midwest (the Dakotas and Nebraska). Great Britain first comes to mind when one speaks about pheasant “shooting” in Europe, but you can get great pheasant hunting in countries like Romania, Bulgaria, France, Italy, and the Czech Republic, too. Pheasant hunting opportunities range from a day of walking through the fields in hope of bagging a few birds, to traditional British “shoots”, with 200-bird days, aristocratic accommodation and even ammunition included. The prices range accordingly, from $200 to over $2,000 a hunter a day. 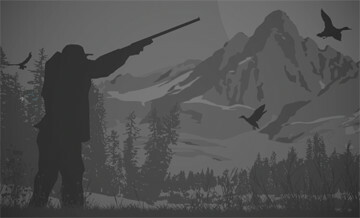 Note that prices for driven hunts after hand-reared birds are usually quoted for a team of hunters or a number of days. Pheasant hunting, be it a classic driven “shoot” in the English style, or hunting over pointers and setters in the American West, is an irresistible lure for many outdoorspeople. It has to be somehow related to the fact that pheasants and people have shared the journey around the world for thousands of years. Read our blog post about pheasants and pheasant hunting. Between hand-reared birds, and exotic locations, pheasant hunting is possible all year round. But the classic time for pheasant hunting has traditionally been after the harvest is over. Be it the pursuit of free-ranging birds in the fields of the Midwest, or the classic European driven hunts, schedule your adventure for late fall or early winter. Free-ranging pheasants are usually hunted on walk-up hunts with dogs, indispensable allies to humans no matter how you hunt. Americans prefer far-ranging pointers and setters, and Europeans rather like close-working flushers such as spaniel (and retrievers to help collect the harvested birds). Hand-reared pheasants are typically shot in the course of driven hunts. This is not a given, though. Many preserves offer some “rough shooting”, as the Brits call it, searching the hedges and edges for the birds. On the other hand, the pursuit of wild pheasants of the American Midwest with dogs may easily turn into a drive when the pheasants refuse to lie under the point, and some hunters will be sent to the other end of the field to intercept them. Pheasants prefer to run rather than fly, but when they flush, it’s dramatic! Wild pheasants can fly as fast as 60 miles per hour, making for challenging shooting. Few hunting experiences in the world can compare to a colorful, cackling pheasant flushing from a field on a beautiful autumn day. No less thrilling is the classic, ritualized European pheasant drive. No matter how you hunt it, a pheasant offers some of the greatest challenges for a shotgunner - British gamekeepers estimate that only one-third of the pheasants they release end up getting hit. A male ring-necked pheasant boasts plumage in a combination of gold, brown, green, purple, and white, with a distinctive white ring around its neck and a red wattle. No wonder so many people pursue the pheasant as eagerly as the Argonauts pursued the Golden Fleece in the valley of the river Phasis, from which the pheasant got its name. This is a family hunt that has been held for 30 years! The birds are bred on our estate and grow in our forest which allows us to have quality pheasant with exceptional plumage. We realize on average 150 birds for a flat price of €8000. The groups between 10 and 18 hunters can participate. It is possible on request hunts with less than 10 hunters. Classical walk up hunt with dogs for groups of 3-5 hunters. Pheasant hunting grounds in the surroundings of Klatovy. Realistic bag: about 600 pheasants on a hunting day. Price of Pheasant is €23 / pieces PROGRAM OF PHEASANT HUNTING: 7.30 a.m Breakfast 8.00 a.m Departure to the hunting 8.30 a.m beginning of the hunt 12.00 p.m lunch, after lunch continuation of hunting End of the hunt is in a late afternoon, when the dusk come down. That the reservation is binding, when the charqes are paid in full. One full hunting day. Shootable birds are partridges, pheasants and quails. The Reserve is fully inhabited by these species, but in order to make the hunting day richer, we also release 5 birds per day per hunter. You will hunt walking with the dogs as its traditional in Tuscany: the dogs will find the heads and induce them to fly, so you can shoot them. The hunting day starts after a great breakfast by the fireplace with sausages, bacon and wine. Lunch on between the hunting morning and afternoon will be served inside the Villa and it will be based on local dishes and a selection of Tuscan wines.